Ever since Gavin Leiper built his first home in 1982, his clients have nothing but praise for his work. 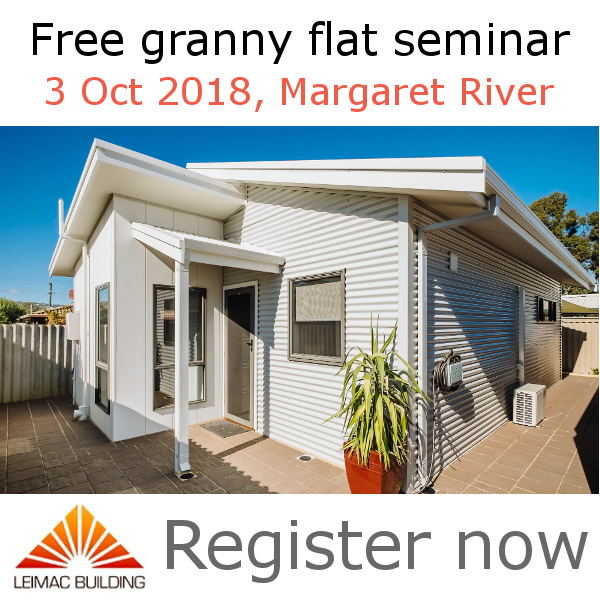 Here are five good reasons for choosing Leimac Building as your builder for your custom built chalet, home, shed or granny flat in the Margaret River region of Western Australia…. Leimac Building makes paperwork a breeze, we deal with Shires on your behalf, and we keep you in the loop with progress updates constantly throughout your project. As many clients have commented, the building process is smooth and hassle-free with Leimac Building. Even if there is a glitch, it’s handled quickly and efficiently by the company director himself – no hand-balling or blame-shifting, just solid follow-through and resolution. That’s peace of mind for every home owner. 2. On Time, On Budget. At Leimac Building, we have great success with completing projects on time, and if that means handing you the keys before Christmas, we’ll do everything we can to make this happen. We also complete the project within the contracted budget so that you can do your Christmas shopping without blowing the budget. 3. Tailored to Suit You. As a custom builder, we offer a range of plans that you can choose from, but if there are any changes you want to make, that’s no problem – just tell us what you want and we will custom-build it to suit. Alternatively, if you have your own design you want quoted and built, that’s alright too – just send your ideas through and we’ll let you know what it will take to make your dream a reality. How often have you heard people complain that dodgy tradespeople ended up costing them more money and headaches? Leimac Buildings tradespeople have been working for us for many years, so we endorse and trust their quality work. From site works to concrete slabs, framing, roofing, flooring and finishing, every one of our tradespeople is absolutely top notch. Gavin Leiper has been building framed homes for over 30 years. His attention to detail and pride in the finished product means you can expect a top quality job when it comes time to move in. Testimonials and word-of-mouth referrals from our happy clients are proof of this.